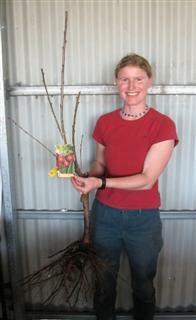 Daleys Fruit Tree has Plants for Sale to Winwill and can Mail Order them to you door. Click to Find out how much Freight Will Cost. Possibly the whitest flowering blossom tree. Flowering cherries are not just beautiful from a distance, each flower is a work of art - naturally beautiful. The Japanese have a festival celebrating the cherry blossom. Spreading tree to 10m wide, 5 m high. Foliage has lovely orange tones in the winter. Suitable for cooler climates only. 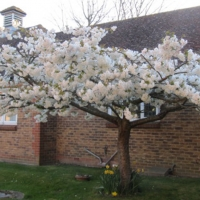 An excellent specimen tree ideally suited to small gardens. 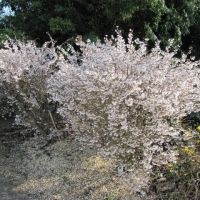 Offers spring flowers, coloured foliage in autumn and zig-zagged branching that is a feature in winter. Also performs well in large containers. Buds are reddish in colour and open to single white flowers, often with a pinkish tinge. Flowers are generally produced in pairs. 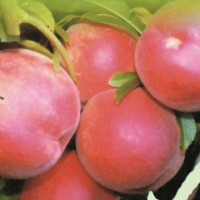 For best performance prefers well drained and moderately fertile soils and full sun positions. Is adaptable to low levels of drought once established. 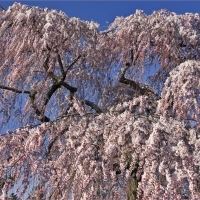 A small flowering cherry with an almost bonsai like habit.